How To Receive AdSense Payments By Western Union Quick Cash? 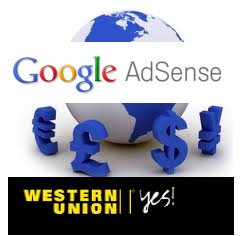 The worldwide Western Union money transfer service has provided a comprehensive and reliable system through which you can easily receive your AdSense payments. This payment method is called the Western Union Quick Cash. All the AdSense payments can easily be collected from the Western Union Agency in your local area, the day followed by the sending date. Western Union provides you with a speedy process of money transfer. The formalities like the time consuming methods of depositing checks and also the necessary bank allowances are avoided through the Western Union Quick Cash. However, please note that you can receive the payment from the same country it was issued to. The payments through this method will be received in US dollars. You can get it in your own currency as most of the Western Union Agencies have the option of currency conversions, where proper conversion rates will be applied to make any required deductions. Currently, only the individual publishers are given this method of money transfer and payments. You cannot sign up a ‘Business’ type AdSense account. You need to make an ‘Individual’ type account in order to sign up for the Western Union Quick Cash payment option. At present, AdSense does not charge you for a signup and choosing Western Union Quick Cash for receiving your payments. At present, AdSense does not charge you for a signup and choosing Western Union Quick Cash for receiving your payments. Western Union Quick Cash is available only in some countries for now. You can check the list of such countries here. Signup Process To Receive Payment By Western Union? You can follow the below mentioned steps in order to successfully complete a sign up for your AdSense ‘Individual’ type account. Keep this in mind that Western Union payments are only available to the individual publishers. Visit the Home tab and go to Account Settings in the left hand panel. Click ‘edit payment method’ below the ‘Payment settings’ header. Select the Western Quick Cash radio button.Click Continue. Click Save changes to your payment type. You should complete the above mentioned signup procedures before the 15th of the month following the month of your earnings to ensure the payments via Western Union Quick Cash. In case to secure your payments by Western Union for your June earnings, you should complete the above steps before 15th of May. Also make sure that your name on the account matches exactly with the name on your National Identity Card, which you will be bringing along when coming to receive your Western Union Quick Cash Payments. 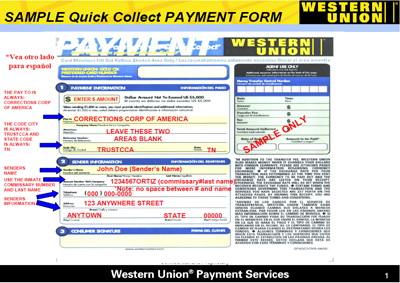 How To Collect Your Western Union Payment? You will need to complete the following steps in order to receive your Western Union Quick Cash payment. Visit http://www.payment-solutions.com/agent.asp to find a Western Union Agent located in the country where your payments are sent. Call the particular Western Union Agent to confirm that they offer the Quick Cash service. You will be required to bring the following with you when coming to receive your payment. Information about the payment sender. You will need to check the ‘details’ on the payment line of your Payment page. Amount of the payment that was sent and you will receive. This can be found on your Payment History Page. Your Money Transfer Control Number (MTCN) which can be located on the ‘details’ link on your Payment History page. Be well aware of the fact that you need to pick your Western Union Quick Cash Payment within 60 days after it is issued. In case of failing to receive the payment in the required time, it will be credited back to your Adsense Account. Following the case of failure to pick up the payment within the required time span. To avoid any kind of money security problems, an additional security question might be asked in some of the countries. The answer to this security question is always a 10 digit Customer ID, which can be found in the top right corner of your Statement of Earnings. BloggingeHow | Making Blogging Simpler: How To Receive AdSense Payments By Western Union Quick Cash?